If you want to update the Intel Graphics 3000 driver in Windows 10, you can use one of the methods below. You can choose the the easier method to update the driver quickly & easily. Intel Graphics 3000 is not supported in Windows 10. For more details, you can check Supported Operating Systems for Intel Graphics Products on Intel’s website. 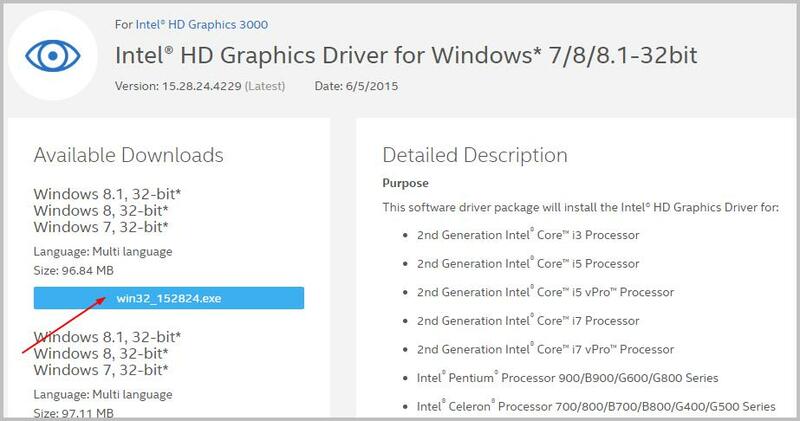 Though you can’t find Intel Graphics 3000 Windows 10 driver on Intel’s website, the good news is you still can update Intel Graphics 3000 driver for your Windows 10. Intel Graphics 3000 supports Windows 7 and Windows 8. To update the driver for Windows 10, you can try the Windows 7 driver or Windows 8 driver, which probably are compatible with Windows 10. 1) Go to Intel website. 2) Download the right driver according to the operating system that your PC is running (32-bit or 64-bit). 3) Download the executable file (.exe). 4) Double-click on the downloaded file and follow the on-screen instructions to install the driver. If you Method 1 doesn’t work for you, you can try Method 2. 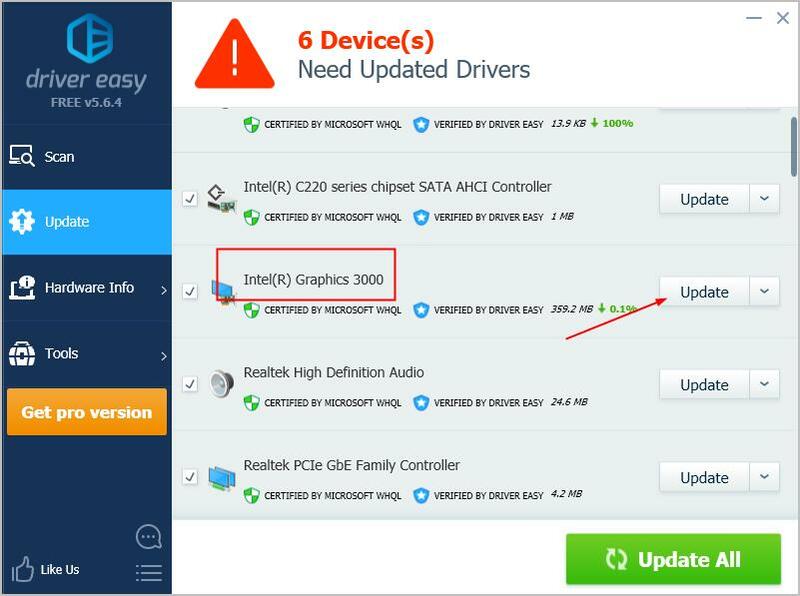 If you don’t have the time, patience or computer skills to download and update the Intel Graphics 3000 driver manually, you can do it automatically with Driver Easy. 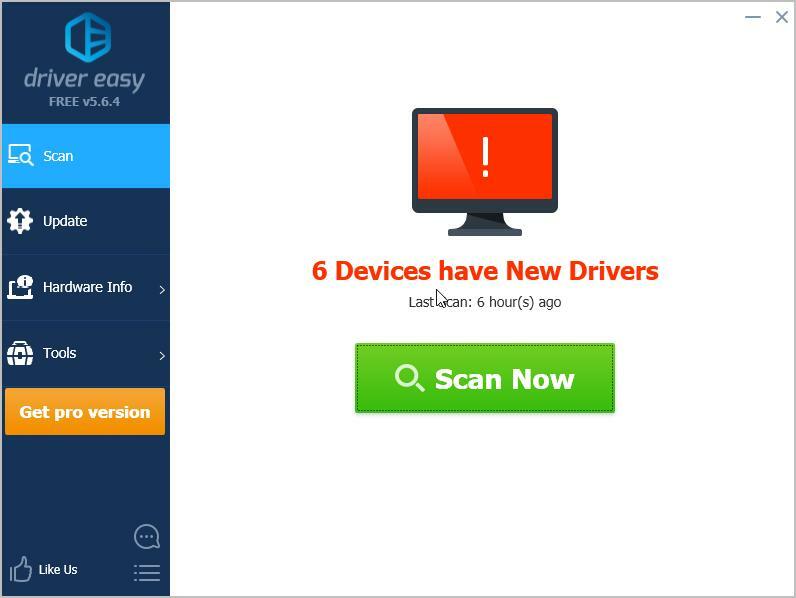 TIP: If you’ve have any questions with Driver Easy, please feel free to contact our support team at support@drivereasy.com. Our support team would be happy to help you with any issues you have. Please attach the URL of this article so we could assist you better.